No, not another federal holiday to honor a dead president. (Coolidge, perhaps?) We're talking about an IRS holiday from Congress that would allow U.S. companies to bring back some of the $2 trillion in cash they've been stashing overseas to avoid paying taxes. Such a move would give companies fresh powder to deploy on M&A, stock buybacks and even hire new workers. "It could potentially act as a very potent market stimulus," Jeff Kleintop, chief market strategist at LPL Financial, wrote in a recent note. He compared the impact to a fourth round of quantitative easing from the Fed and even dubbed it QE4. Related: When U.S. companies dodge taxes, is it unpatriotic? While a tax holiday doesn't appear imminent, it has recently been floated by some leaders in Congress. And there is a precedent for such a move. Congress ushered in a tax holiday in 2004 that paved the way for $362 billion of foreign profits being brought back onshore. Here's how it works: Under the current system, companies don't need to pay the 35% corporate income tax on most overseas profits until they are "repatriated." And that cash can stay overseas indefinitely. The current rules, which Democrats and Republicans acknowledge are broken, have helped fuel a series of "inversion" deals that hurt federal tax revenue. These transactions occur when a U.S. corporation moves its legal headquarters overseas after buying a foreign company that is based in a low-tax country. Medtronic's (MDT) takeover of Ireland's Covidien (COV) and drug maker AbbVie's (ABBV) plan to move to the U.K. by buying Shire (SHPG) are examples. Under a tax holiday, companies could bring their overseas profits back to the U.S. and only pay a reduced tax rate. It was 5.25% in 2004. "It would impact capital spending, employment, dividend payouts. It'd have a very therapeutic effect on the economy and the market," said Peter Kenny, chief market strategist at The Clearpool Group. "Many companies would love to bring capital back to the United States -- but it's just so prohibitive." Shot in the arm for stocks: A tax holiday could also help offset the dwindling stimulus from the Fed, which this week dialed back QE by an additional $10 billion. 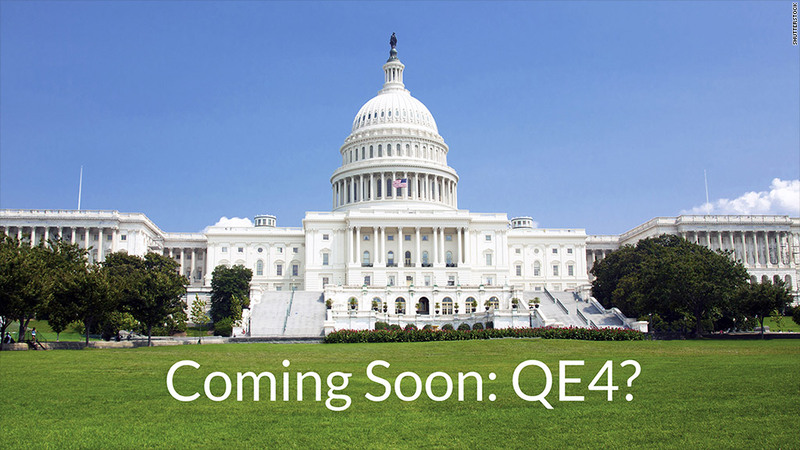 The Fed is expected to end QE for good by October. But a tax holiday wouldn't boost stocks across the board. Large multinational companies that make a big chunk of their profits overseas would stand to benefit the most, said Bruce McCain, who helps oversee more than $20 billion at KeyCorp. 's Key Private Bank. Mixed fiscal fallout: If endorsed by Congress, a tax holiday would also help pad Treasury's coffers in the short term through an influx of corporate income tax revenue. However, it's not clear a tax holiday would help the country in the long run. The Joint Committee on Taxation recently estimated a tax holiday would slash federal tax revenue by $96 billion over the next decade. That's because multinationals may continue hoarding cash overseas under the assumption that another tax holiday would be just around the corner. There's also no guarantee that companies would use the cash for hiring. A report by the Center on Budget and Policy Priorities concluded that the 2004 tax holiday "did not produce the promised economic benefits" because companies mostly bought back stock instead of investing the money to grow their businesses. Clearly a tax holiday would be more effective if it was part of a broader reform of the tax code. But there's a better chance of "Sharknado 2: The Second One" winning an Emmy than this divided Congress puling off an overhaul of the tax system in a midterm election year.